Discussion in 'Price Drops, Must-Have Freebies, and Deals' started by pluto6, Apr 12, 2015. 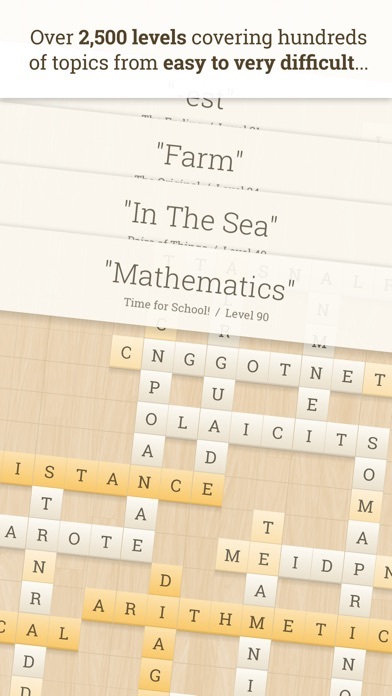 “The visuals are gorgeous... typography is stunning... the soundtrack is also tranquil and atmospheric” - AppAdvice "If you’re after a relaxed but challenging word game, Alpha Omega has you covered fairly nicely.” - 148Apps ----- Can you solve each crossword puzzle, with only the first and last letters as your guide? CLUES EVERYWHERE… You are given a clue and a puzzle full of scrambled words. Once you decipher a word, it itself becomes a clue, enabling you to decipher other words… OVER 2,500 LEVELS... After you've graduated from “The Original” level pack - or whenever you're ready - jump right into challenging new premium level packs, each available for a small purchase. More content will be released regularly. RELAXING GAMEPLAY… No rush here! Take your time to think as a beautiful ambient soundtrack accompanies gameplay. 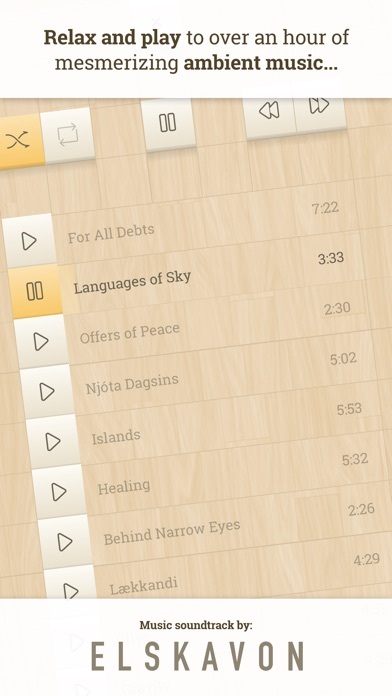 Even access a custom music player to play whatever track you like. 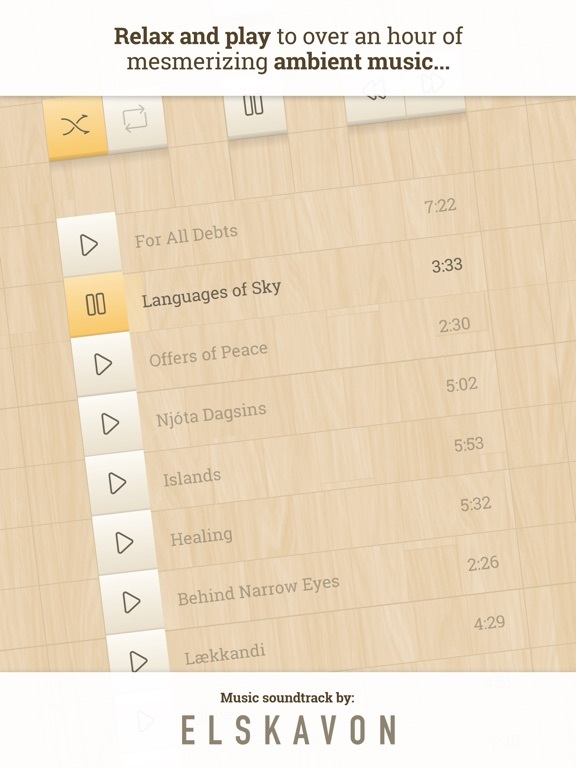 BEAUTIFUL THEMES… Bright colors, seasons, pastels… even a dark theme to play at night! 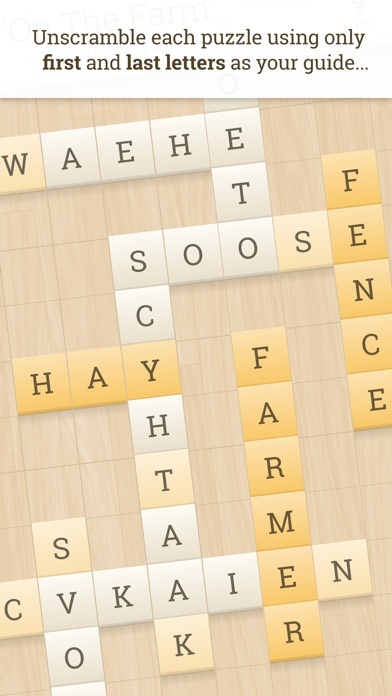 Change the entire look and feel of the game board with custom themes. 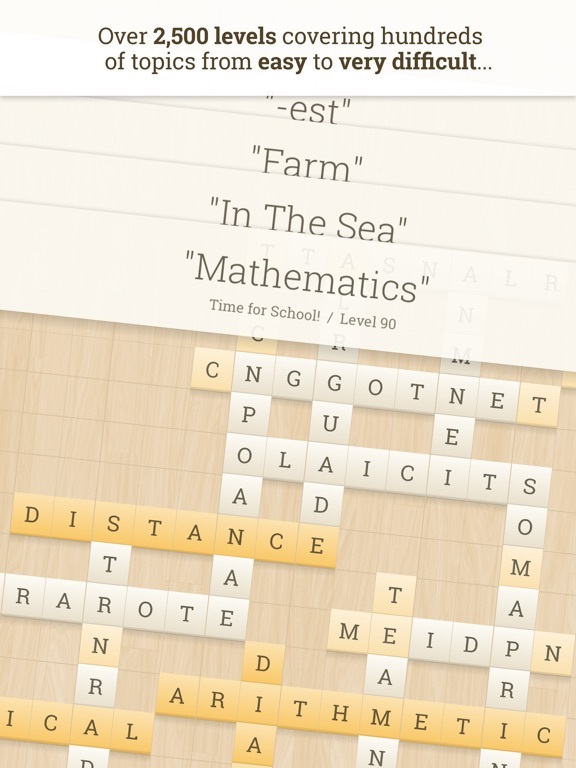 Can you solve all levels from Alpha to Omega? Download and find out! ----------------- SOME IMPORTANT NOTES… The Unlimited Pass unlocks the entire game. All level packs (current and future), all themes, unlimited hints - and removes all ads. It’s well worth it and we highly recommend you purchase it. The price will only go up as new level packs are released! 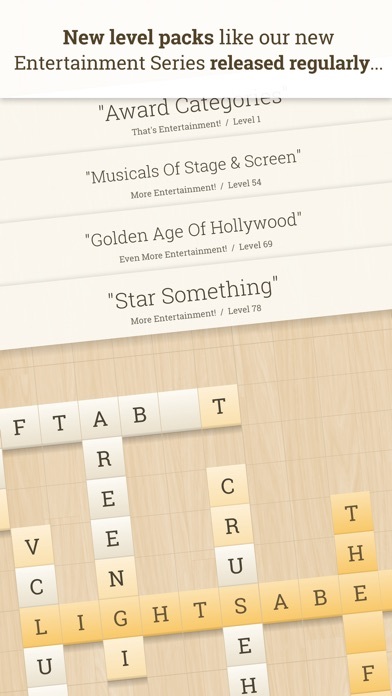 Hint packages are available in the app as in-app purchases, but are not required. 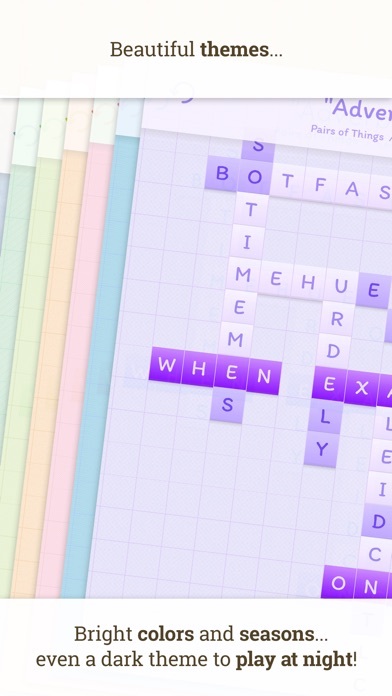 They simply can help you work your way through more challenging levels, and they also help developers such as us continue to make great games for you :) Not all words in each puzzle have first and last letters locked in place, but enough are there to get you started! Thanks for your support! I agree. Well worth paying for, this is one of my most played iOS titles since it was released. I had this on the wishlist since it was released. Now that i have it, I feel guilty getting it free. 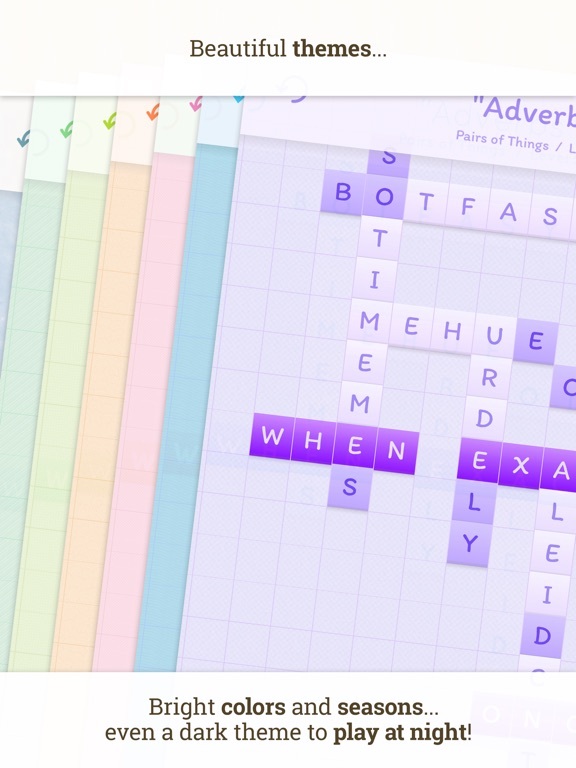 This definitely isnt for everyone, but those who like word games will get some good fun off of this. Yes, agree with you. 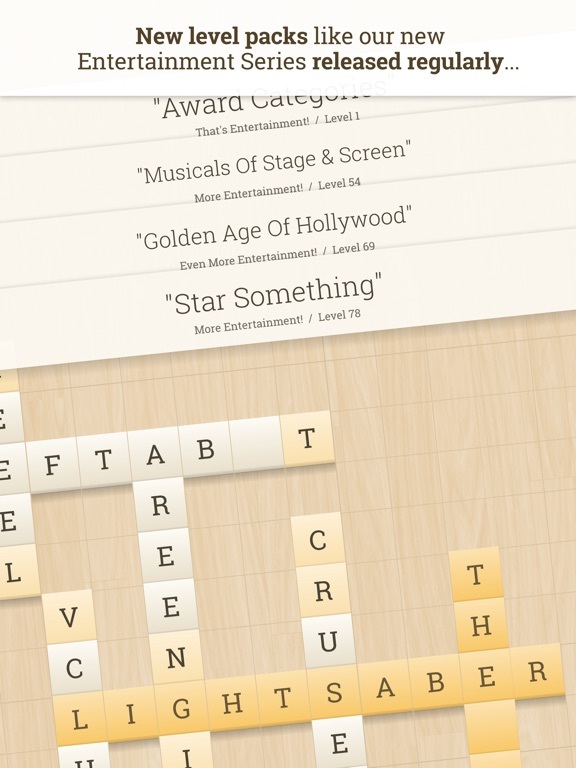 It's a great word game. Got this at launch and its a good game that challenges. Recommend trying it out since its free. 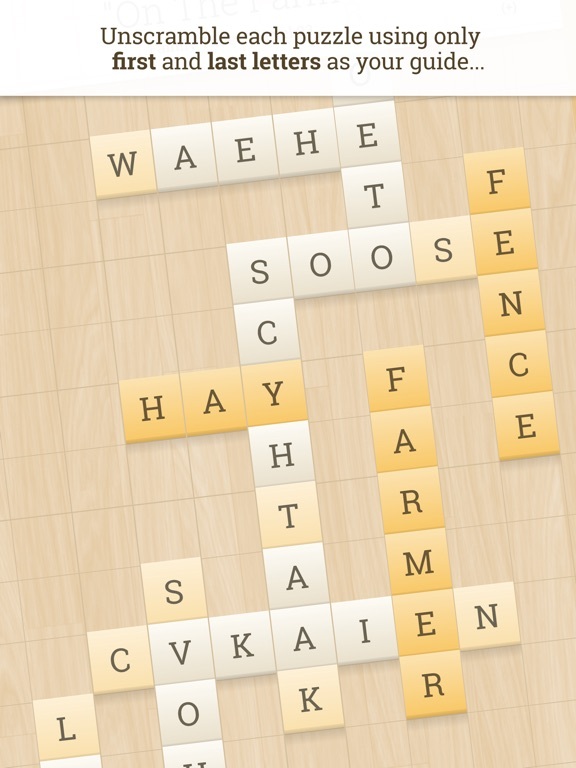 Added Note: Kind of relative to the game as today is also " National Scrabble Day"
Can anyone confirm that this is still free? On Appshopper, it shows free. When I search for it on iTunes, is says Get, but when I click on the app on iTunes, it shows $1.99. Something is odd. Free no longer because the sale has ended. I got it free so the price drop did happen, but it seems it was only free for a day. Hey all thank you so much for the awesome comments Yeah, free sale was for about 24 hours only... it's back to 0.99. Only 0.99, that is Appreciate everyone's support! Thanks everyone for your support - hope you enjoy the game! Very fun game. I enjoyed it quite a lot. Would love to see more content if that is possible! Thank you and glad you mentioned that! Big update coming in a few weeks with new level packs, new music and some new features!